2014 was a harrowing and devastating year for many people living in Israel and Palestine. Violations of human rights, racism, and hatred did not stop after the 2014 Gaza war and today are commonplace. These confits have been on off for years and the side effects are seen on both sides, it's so sad that fellow human beings can't get on and get along, will it ever end ? Nothing hurts more than seeing all the children who have suffered and died needlessly. End the occupation and all U.S. AID TO Israel. Children die and suffer, daily, because of this endless, brutal, ongoing 70 years illegal occupation. 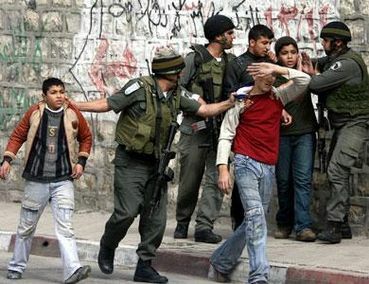 This is the terrible facts of Israeli behaviour against the Palestinians. The concept of real freedom and democracy seems foreign to anti-Semites. From here, it looks as if many of these self-proclaimed liberals have a self-congratulatory concept of what is right and wrong as closed-minded, un-free and un-democratic as that of the most rigid tyrant. When people show solidarity with the Muslim Brotherhood or Hamas, or with those who jail, try or flog people for free speech, it just further proves Israel's rightfulness and legitimacy. You would defend yourself against incoming rockets; why shouldn't they? Israel has nothing to apologize for. It is really hard to please the Jew-haters. When Jews cannot protect themselves because they do not have a military, they are "cowards" and are persecuted in Turkey and worldwide. When they do protect themselves, thanks to their military, they are "oppressors." To anti-Semitic or anti-Israel people, Israel is the problem. Totally agree with Hugh, Carrie & Jess. Penny. . . try thinking outside your box. How would you resolve the conflicts? Penny, some people believe propaganda believe they WANT to believe propaganda, hence they POST propaganda! What problem?? Their children are indoctrinated to kill and become holy martyrs. The famileies are honored and rewarded. A poll of 1,000 palestinian youths revealed that well over 700 desired to *kill Jews and be martyrs for allah*. A palestinian poll revealed that 87% of palestinians support and encourage terrorism.